Welcome to the City of Sanger Economic Development Department! 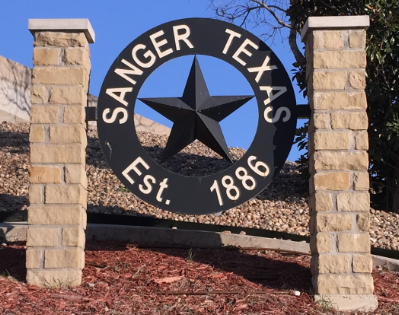 The City of Sanger has established both a Type A and Type B economic development board to stimulate economic growth. These boards utilize sales tax revenues to stimulate the creation of new primary jobs in the community and to address quality of life issues. Sanger is pro-business and aggressively seeks new and expanded businesses that offer quality jobs for the community. To foster economic growth and enhance the quality of life for all residents of Sanger. Strategically identify and recruit businesses that contribute to Sanger’s economic well-being by expanding and diversifying the tax base and creating quality employment opportunities. Provide for a vibrant economy through a pro-active business retention and expansion program that encourages existing businesses to grow and expand their presence in Sanger. Enhance Sanger’s quality of life and promote the community as an attractive place to live, work and play. We would be glad to discuss your expansion or relocation to our community.